Travelling to India has always excited me and to play here is a great experience beyond description. I would like to thank Kings XI Punjab for bringing me into their squad alongside the number of other stars. I knew it was going to be a great tournament from my development point of view, as I was to play under the watchful eyes of coach Brad Hodge and Mentor Virender Sehwag who know every bit of the ins and out of Indian conditions and indeed it was a great tournament. It wasn’t my first time in India, but each visit to this beautiful country makes me feel special and I always have new memories to take back. I was a part of Gujarat Lions last year and had a great season with them even though I got the chance to play in just a few matches. This year too, I had a blast with KXIP. On a personal note, this season was absolutely mesmerising for me. The conditions we played under perfectly suited my style of bowling, the slow nature of the pitches helped my variations a lot which is the main part of my bowling. I never imagined I would take 24 wickets in such few games, but it was a great feeling to wear the purple cap for the maximum time on the ground and even better to hold it at the end of this season. The overall season didn’t go well for the team especially after the way we started. We played some quality cricket in the first half of the league but things didn’t work out as per our plans in the latter half. I worked hard on my fitness before coming here to prolong my stamina under the blazing sun which allowed me to give 100% on the field. India always has a great atmosphere for sports especially Cricket. It’s always a great experience to play in India and in front of a jam-packed crowd cheering at the top of their voice. I would like to thank all the fans who cheered for me and Punjab sitting in the stadiums and on TV till the last ball. It motivates me to perform and give my 100% on the field and give them a reason to cheer. The IPL is a great tournament, probably the biggest in the world. This is the platform every youngster looks for to showcase the quality and skills he has. My career is also based on the foundation of such leagues. The IPL helps the youngsters to test themselves in front of some of the finest players in the world. The likes of Ankit Rajpoot and Mujeeb Zadran performed incredibly well having played very less or zero cricket on such a big stage and were the standout players for our side throughout the league. This experience can only take their careers onwards and upwards. 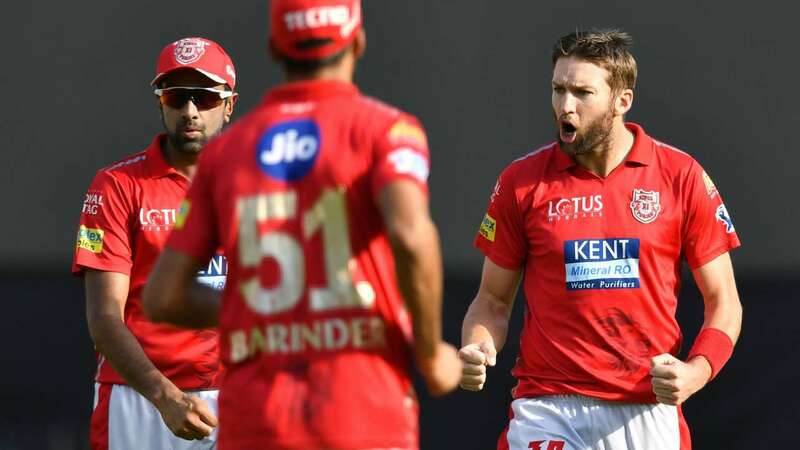 Over the course of four IPL seasons, I have seen a lot of local youngsters, not just from the teams I played for but also from the rest of the teams, playing crucial knocks at crucial times and making the difference between a win and a loss. The last two months have been absolutely fantastic for me and I am lucky to be a part of a tournament like the IPL. We didn’t end the way we wanted, but it surely thought us a lot of lessons. There are lots of things to improve in my game and I assure that I will put in my best over the coming year to return a better player. 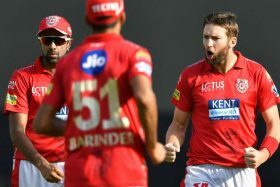 I am eagerly looking forward to adorning the Red and Grey jersey again in IPL 2019. Lastly, I would like to thank all my friends at Anglian Sports. It is surely a harbinger of things to come that in the first year of my association with India’s top sports talent management companies; I have had what is undoubtedly my best IPL season yet. Let’s keep the good times rolling!